If you too want to generate more sales on Instagram you can get started by creating a shoppable Instagram account. #1 What is a shoppable post? Instagram shoppable posts are posts where a white bag icon appears on the bottom left corner. Sometimes this icon is accompanied by the text ‘Tap to view products’. When a user taps this icon, square shaped popups appear on the photo displaying the name of the products and details about the pricing. When you tap this popup, a new page opens where you can see a larger picture of the product and more details. A ‘Shop Now’ option also appears. When users tap this, they are redirected to the company’s website where they can purchase it. Earlier when you wanted people to purchase from your website, you had to include the link to the product first in your bio. Then ask people to click on it and buy it. As this makes it easy to visit your website and buy your products it can increase sales. #2 How to set it up? At the moment Instagram is beta testing this feature and are gradually rolling it out to a few businesses at a time. Among these beta testers are 30,000 businesses whose sites run on Shopify. The sign up for the beta test is closed, but you can get updates on it from the Shopify website. If you want to be notified as soon as this feature is available to more businesses, you should sign up for the updates. The first thing you must do is to convert your regular Instagram account into a business account, if you haven’t already. You can easily do this by going into settings and clicking on ‘Switch to Business Profile’. After that click on ‘Continue’ in the next screen and connect your businesses’ Facebook page to this business account. Also fill in your contact details and click on ‘Done’ and your account will be setup. After that create a Shopify account, if you haven’t already got one and add your products to it. Next you should connect your Shopify account to your Facebook page and create a Facebook product catalog. As you can only create shoppable posts if you have a Facebook product catalog that contains the products you want to make shoppable. After you set up the catalog, you can follow the steps in the below video to add your catalog to Instagram. When you are approved to tag products, you will get a notification from Instagram and you can begin tagging the products in your catalog in your photos. All you need to do is choose an Instagram optimized background photo, upload it onto an editor and add items like text, icons, more photos, etc. to it and it will be ready for publishing. Content can be in the form of quotes, quick tips, memes, comics and more. If you are looking for a tool with ready to use templates, you can try PromoRepublic. You can also schedule posts with it. 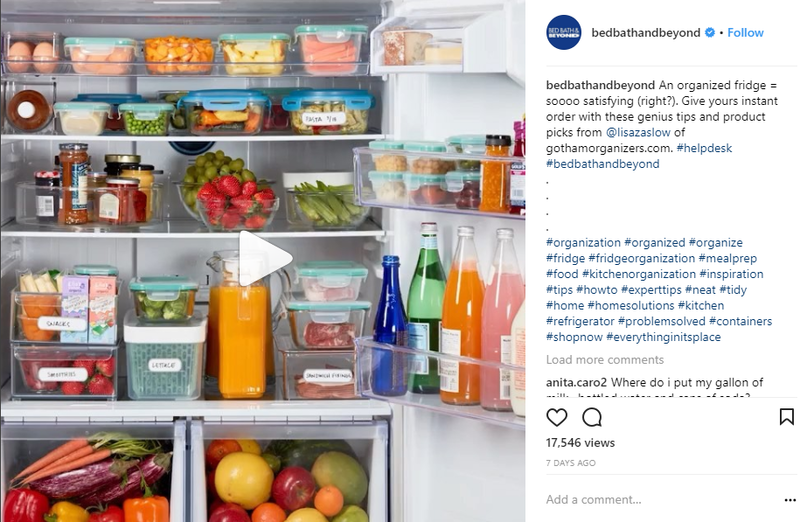 Your content can also be in the form of video like this one from Bed Bath and Beyond. You too can publish posts like these and make the products shoppable by tagging them. In the caption you should mainly describe the products featured in the photos. Start off by listing the features and benefits of the products. Also let users know that they can learn more by tapping the white icon in the bottom corner. This should be your call to action. 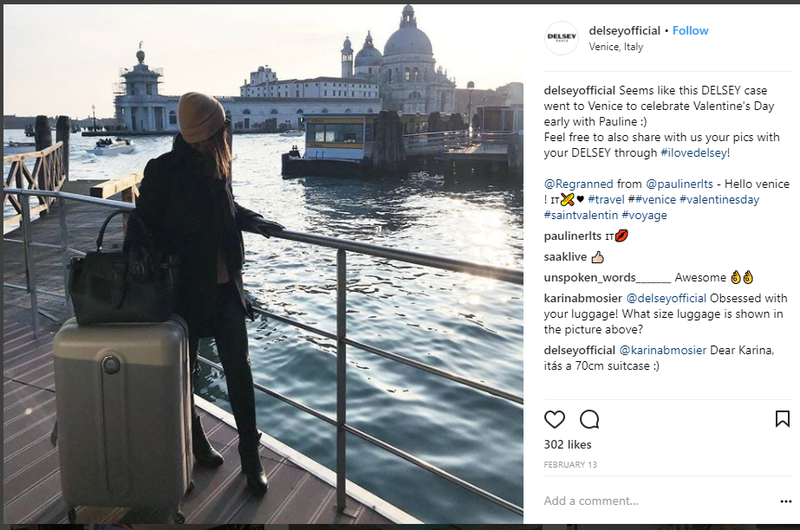 If you are sharing user generated content, feel free to tag the users Instagram handle like Delsey did in the below photo. An important component of a shoppable Instagram account is trust. More people will buy from you if they trust you. A quick way to boost this is by teaming up with an influencer for an Instagram takeover. When an influencer takes over your Instagram account, it shows that they trust you, hence their followers will begin to trust you too. 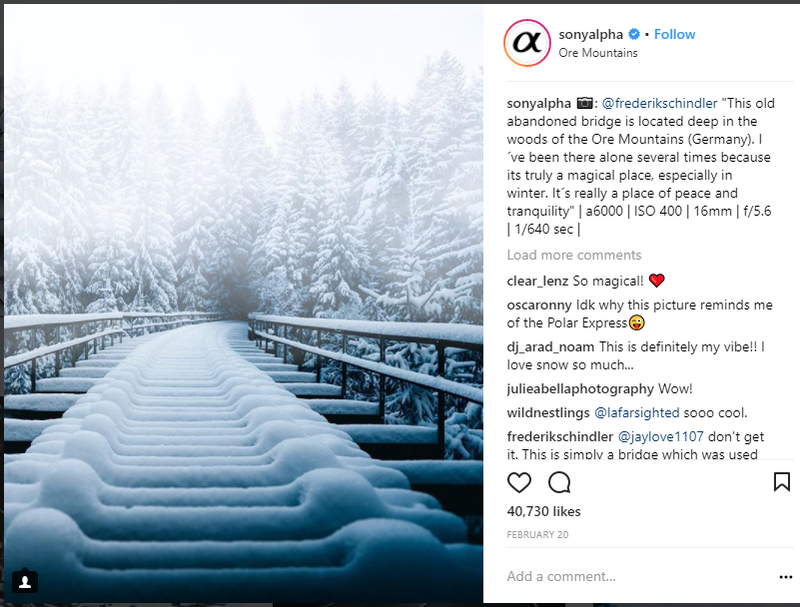 If you are looking for inspiration on how to organise Instagram takeovers, you should checkout Sonyalpha’s account. They regularly publish photos taken by photographers. The caption is written by the photographer too. You can also make your Instagram photos shoppable by displaying them on your website. This way if something catches their attention on your website, they can check it out. You can see an example of this on the Puravida website. Photos from Instagram containing their products are displayed on the website. If you click on the photo a popup appears displaying all the products in the photo. People can check out these products and purchase them. This can be set up with Four Sixty. The best way to promote your products in shoppable posts is by publishing pictures of them being used. For example, if your products are clothes, you should share photos of people wearing those clothes. Then tag the products in the photos. As people will see the products in action, they can picture themselves using them. These photos can be professionally taken by your company or you can use user generated content instead. User generated can be more effective in selling your products on Instagram as they will appear very natural. They can increase conversion by 4.5%. 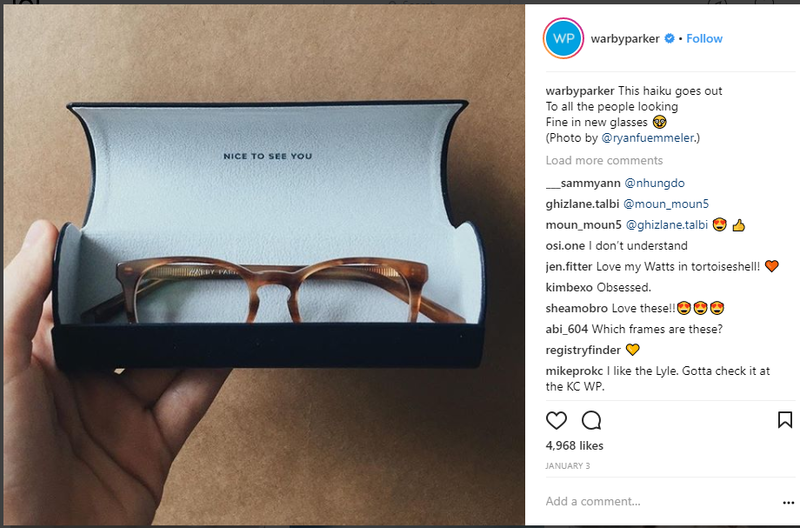 A company that regularly publishes user generated content is WarbyParker. Here’s a photo they published. It was taken by one of their customers. If you spend time creating quality content it shows that you care about your followers. And they will come to trust you. These are the 7 steps to creating a shoppable Instagram account. Follow them to generate more sales. Do you have a shoppable Instagram account? What other steps would you take to make an account more shoppable? Please leave your comments below. 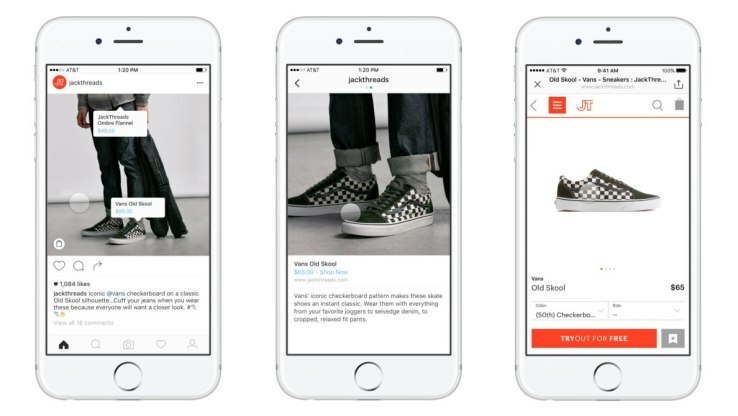 Have you used shoppable posts for your business? 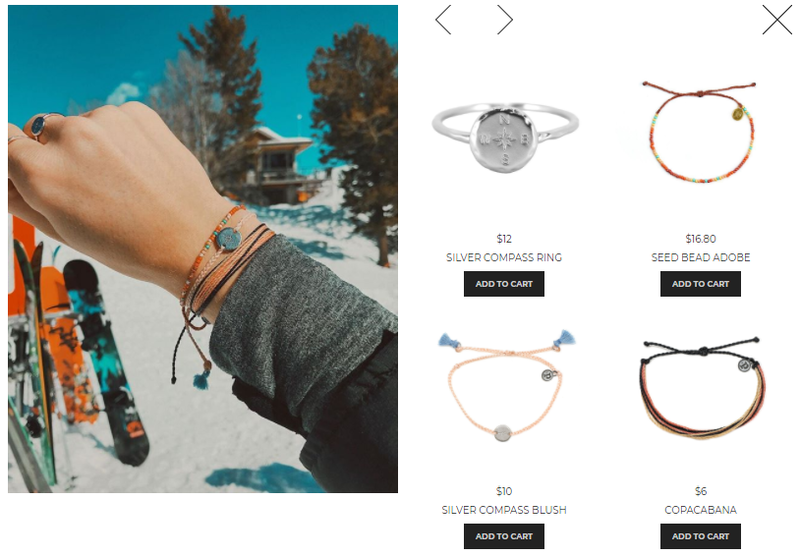 Is it necessary to have a Shopify store to display shopable products on Instagram? It’s easier to use Shopify. You can set stoppable posts on your own but I recommend you to use Shopify.